ZCorum, a leading provider of managed broadband services and diagnostics, announced today the addition of Carlos Bustamante as Vice President of Strategic Technologies. With extensive experience in the cable industry, Bustamante brings valuable leadership to ZCorum as it continues its rapid growth. One of Bustamante’s top priorities will be to lead new product initiatives for the company, including research, interviews and collaboration with service providers from a broad cross-section of the industry. 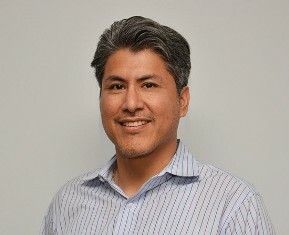 Prior to joining ZCorum, Bustamante has held various roles over his twenty years in the cable industry, starting his career as an engineer for The Weather Channel where he managed the Deployment and Customer Support Team for the Latin American region. He has been building his experience in DOCSIS hardware and software solutions since 2000, working for ARRIS, Intraway, and Integrated Broadband Services (IBBS). Bustamante held senior executive leadership positions focused solely on the cable industry and translating Software Platform Analytics into actionable insights so they are more useful to the operator. “I am honored to join such a successful company,” said Bustamante. “With a proven product portfolio backed by a global customer base, ZCorum is extremely well-positioned to deliver unique value to service providers as they transform their networks and improve their customers’ experience. I look forward to collaborating closely with our customers to deliver the next generation of services and applications." Carlos attended the Georgia Institute of Technology where he graduated with a Bachelor of Electrical Engineering and later earned an MBA in Management of Technology.